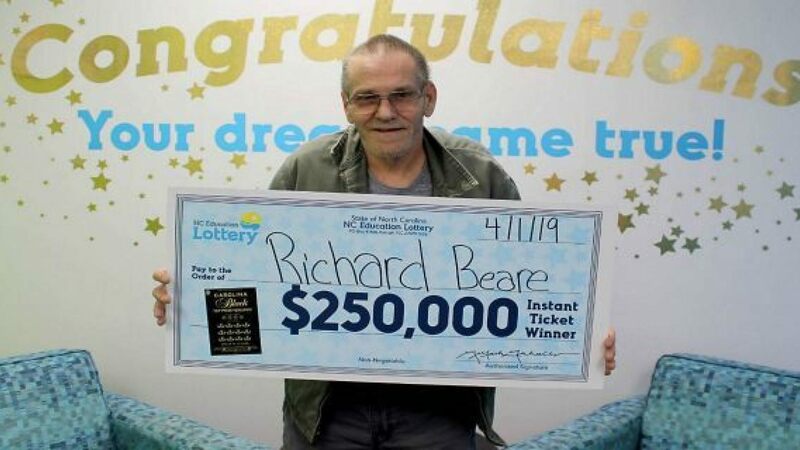 Richard Beare of Charlotte, North Carolina, had just been diagnosed with stage 4 liver cancer when he won the lottery. The retired automotive mechanic told lottery officials that his wife asked him to buy a Powerball lottery ticket. While at the Quick Trip convenience store he decided on a whim to also buy four scratch-off tickets. As he had very little experience with scratch-off tickets he had to ask the store clerk how to play. The lucky scratch-off lotto rookie said he plans to take his wife to Europe with the money. Here at PlayEuroMillions.com, we have a wide variety of exciting scratch cards you can play for prizes ranging between a few dollars, euros and pounds up to staggering thousands! The great thing about these incredible scratch-off games is that if you win, your money will automatically appear in your account so you can keep playing more games. So, while you wait for your results on the big lottery jackpots, like the EuroMillions, US Powerball, Mega Millions and the SuperEna Max lotto game, you can spend the time playing these extremely lucrative scratchers as well! Buy a scratch card online today and soon you could be scooping massive prizes on these fun and intriguing games!